The society has so far managed to hand over possession of B block, while major part of A,C and D blocks have been developed and the society is working towards completion of remaining work by 2017. E and F blocks are also under speedy development, however it is going to take atleast 2 years before these blocks can be ready for possession. There are apparently no land or development issues that may halt the progress, so we can expect the development work will continue smoothly in future. Construction of Kashmir Highway extension which leads up to New Islamabad International Airport (NIIA) has proven to be a windfall for the society and its investors, as it gives direct access to Top City-1 and Mumtaz City which makes it easier for people to travel up and down the city via Kashmir Highway. All the land required for the link road has been provided to NLC and it is rumored that the society has provided major part of the required land for this project. Another news is running rife in the market that previous plan of Kashmir Highway has been slightly modified and now the highway will pass through the society along F and E blocks leading up to new Islamabad International Airport, and a modified plan is under approval. Moreover, block H of Top City-1 will be removed and all 5 marla plots will be adjusted in block E.
Prices of 10 marla and 1 kanal plots in almost all blocks have nearly doubled in past one year. All those investors who purchased something by or before the first quarter of 2016 have earned a fortune as prices hit all time high by the end of the year. Only 5 marla files/plots were selling cheaper during all this period, but recently a jump in prices of 5 marla plots is also seen, and profit rates have gone up to 5 lacs for 5 marla plots. Earlier this year, 10 marla plots in A & D would cost around 22 to 24 lacs, and now the value is above 40 lacs. Similarly, 1 kanal plots in C would cost around 30 to 35 lacs, and now they cost from 55 to 65 lacs. B block prices were around 45 lacs and now plots in B block cost around 80 to 90+ lacs. 1 kanal plots in A block have also increased much in value, and prices have increased from 35 lacs up to 60+ lacs. Plot prices in E and F have also increased to almost double, and currently 10 marla costs around 35 lacs and 1 kanal costs around 50 to 60 lacs. 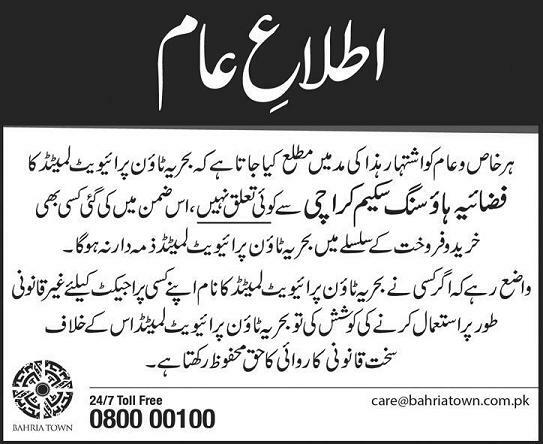 Seeing the trend and future developments, we can easily judge the future value of property in Top City-1 Islamabad. This is not only about the NIIA project and Kashmir Highway Extension that has added to the value of property in this society, there are various other factors including bulk of advertisements, speedy pace of development, involvement of a large number of dealers, active involvement of society management to organize events and to support the investors/dealers, professional approach towards security and maintenance services and a lot more initiatives that have caused Top City-1 to rise from a dead investment. 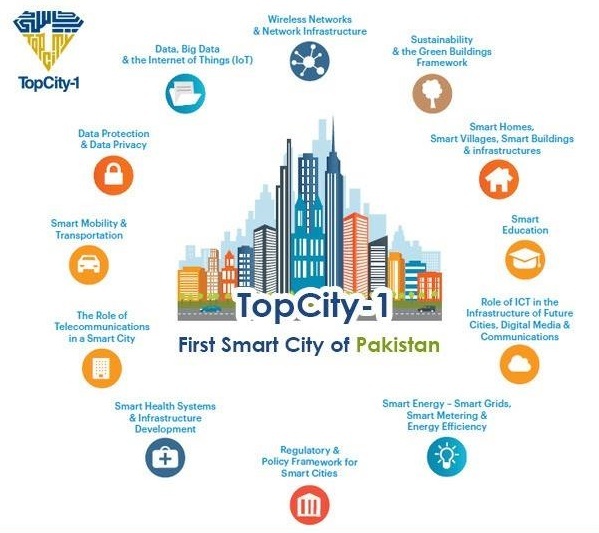 Top City-1 has managed to introduce latest technologies in the society and they boast of being the First Smart City of Pakistan. This is just a beginning as there is still a world of opportunities out there seeking attention of investors. Top City-1 has not launched its big commercial plots yet, and it is expected that they will launch commercials after the NIIA is open and Kashmir Highway is open for traffic. Even 5 marla small commercial plot prices have gone above 1 crore, so we can expect much higher prices for their big commercial plots in central commercial area. Considering current prices, E and F blocks can be considered for your future investment. As these blocks are currently under development and prices are still quite reasonable. As the company is seriously working towards development works while creating incentives for investment, there is much more room for growth in this investment. We can simply conclude that Top City-1 has gained attention of investors in 2016 which resulted in almost 100% increase in property value and the trend is expected to continue in 2017. Demand for plots in Top City-1 is much higher than the availability, which is keeping prices higher. If there is no further delay in the NIIA plan and no hurdle in the opening of Kashmir Highway access, there is no reason Top City-1 prices should not rise further.